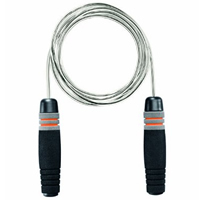 Jump ropes, also known as skipping ropes, have been a permanent sports equipment for athletes, especially boxers, for many years. 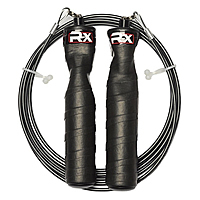 There are many jump rope techniques, that provides great cardio benefits and is much less likely to lead to knee damage, unlike running. I’ve compiled a list of the top 8 best jump ropes, based on Amazon’s best sellers and top-rated models. 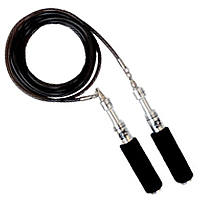 Scroll down to find table notes and the benefits of using a jump rope. Material – Different rope materials vary in weight and texture, which affects the rate of speed at which they swing, and how much they tangle (however, this also largely depends on how it’s constructed at the rope end handles). 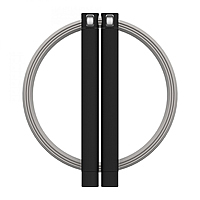 TPU coated wires have recently become popular due to their lightweight and no tangling feature. Rope Length – Most ropes’ full length will be around 9 feet long, with the ability to adjust the size. This is long enough for someone who stands at around 6’6” tall. Handle Length – The table above states the length of the entire handle. Take off a rough couple inches and you should have a good indication of how much actual holdable area there is. Adjustable Rope – Most ropes can be adjusted, and those that cannot, usually has an option of different length ropes. Ropes can be adjustable by either cutting the end, or simply by retracting it inside the handles, depending on its construction type. 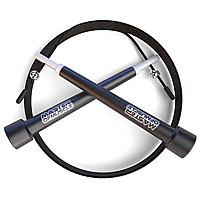 Weighted Handles – To provide you with more of a challenge, and to also tone your arms, certain jump ropes include metal weights within the handles, which can be completely removed. Unlikely to Lead to Knee Damage – Runners often get Patellofemoral pain syndrome (PFPS), aka. runners knee, which brings pain to the kneecap. Since with each jump or step, you land on the balls of both feet instead of the heels, this massively reduces impact on the patella-femoral joint. Improves Cardio Endurance – Jumping rope is an aerobic exercise which can burn up to 700 calories per hour of vigorous exercise. To put this into perspective, you can jump rope for 10 minutes and it will have more or less the same effect as running for 8 miles. Improves Balance, Timing and Coordination – Once you learn the various jump rope techniques, constantly performing them will drastically improve your balance and hand foot coordination. These elements are essential if you want to perform at your best in athletic sports. 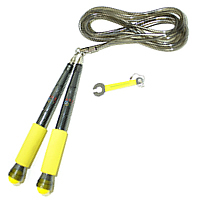 Easy to Learn and Perform – Jump rope techniques are relatively easy to learn and you will begin to grasp them with enough practice. Skipping can literally be performed within your own home or back garden as opposed to going out for a run or bike ride. 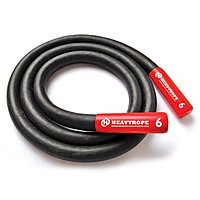 Cheap to Get Started – Good jump ropes can be purchased from as little as $8. 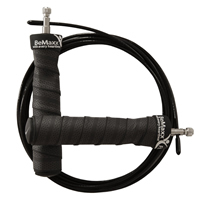 Though everyone has their own preference on type and material of jump rope. If you want to learn about the various jump rope techniques, I recommend that you check out my articles on the Top 10 Best Boxing Jump Rope Techniques.